The snow comes down harder and faster than many expected. A blizzard warning is issued for parts of New England. PHILADELPHIA — A swirling storm clobbered parts of the mid-Atlantic and the urban Northeast on Tuesday, dumping nearly a foot and a half of snow, grounding thousands of flights, closing government offices in the nation’s capital and making a mess of the evening commute. The storm stretched 1,000 miles between Kentucky and Massachusetts but hit especially hard along the heavily populated Interstate 95 corridor between Philadelphia and Boston, creating perilous rides home for millions of motorists. The National Weather Service said Manalapan, N.J., got 15.5 inches of snow, Philadelphia got slightly more than a foot and Brookhaven, near Philadelphia’s airport, got 15. It said parts of New York City had 10 inches. The snow came down harder and faster than many people expected. A blizzard warning was posted for parts of Massachusetts, including Cape Cod. Highways in the New York City metropolitan area were jammed, and blowing snow tripled or even quadrupled drive times. In Jersey City, N.J., Stanley Gaines, wearing just a thin jacket and huddling beneath an overhang as snow stung his face, said he had been stuck for more than an hour waiting for a ride home from his appointment at a Veterans Affairs clinic. In White Plains, N.Y., Anthony Schirrone pulled over his car to scrape snow from the windshield. 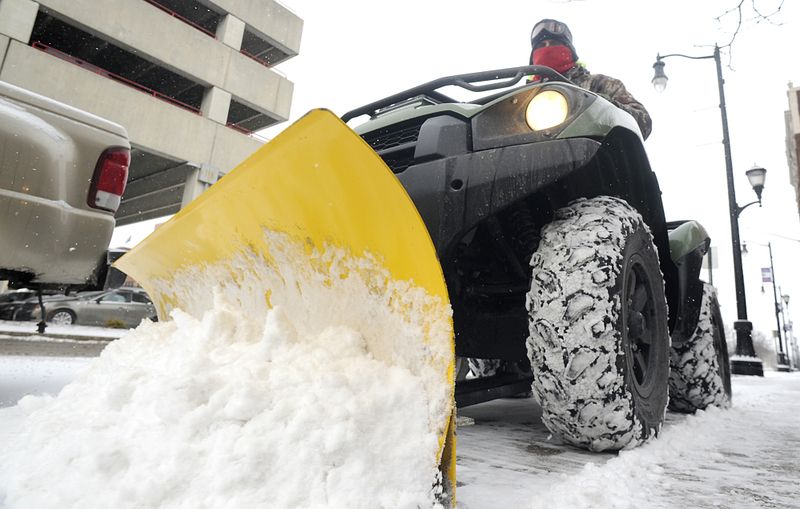 Parts of New England saw initial light snowfalls turn heavier as the night wore on. Foxboro, Mass., and Providence, R.I., each received about 11 inches of snow, and Stamford, Conn., got 9. 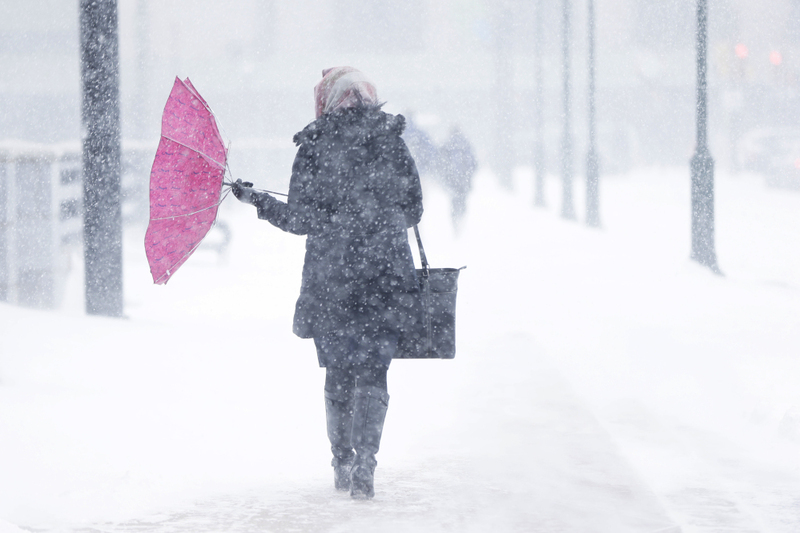 Forecasters said the storm could be followed by bitter cold as arctic air from Canada streams in. In Maryland, 11 inches had accumulated in Northeast Heights. The storm was blamed for at least one death in the state, that of a driver whose car fishtailed into the path of a tractor-trailer on a snow-covered road 50 miles northwest of Baltimore. And police said the storm might have claimed more lives: A preliminary investigation showed wet conditions played a role in a two-vehicle crash that killed two people in Prince George’s County, Md. The storm was a conventional one that developed off the coast and moved its way up the Eastern Seaboard, pulling in cold air from the arctic. Unlike the epic freeze of two weeks ago, it wasn’t caused by a kink in the polar vortex, the winds that circulate around the North Pole. Pennsylvania’s Department of Transportation said it had already blown through more than half of its $189 million winter weather budget. “Lots of nuisance storms this season have meant that PennDOT crews have been plowing and treating roads more frequently this winter,” spokeswoman Erin Waters-Trasatt said. This second fierce blast of winter weather is sapping fuel supplies in many regions in the U.S. and sending prices for propane and natural gas to record highs. Customers who heat with natural gas or electricity probably won’t see dramatically higher prices, in part because utilities typically buy their fuel under longer-term contracts at set prices. But propane customers who find themselves suddenly needing to fill their tanks could be paying $100 to $200 more per fill-up than they did a month ago. About 3,000 flights for Tuesday were canceled, with airports from Washington to Boston affected. More than 1,000 flights for Wednesday were called off as well. Amtrak planned to cut back train service. The rush to get home early by many workers was evident in Philadelphia, where many commuter trains were packed. The storm put a damper on New Jersey Gov. Chris Christie’s inauguration, forcing the cancellation of an evening party on Ellis Island. Massachusetts Gov. Deval Patrick postponed his annual State of the State address, and the Philadelphia Flyers postponed their Tuesday night game. Schools in Pennsylvania, New Jersey, Connecticut, Virginia, West Virginia and Kentucky stayed closed for an extra day after the Martin Luther King Jr. Day holiday or sent students home early. Some parents kept their kids home all day, unwilling to put them on slippery roads for a few hours of school. Federal workers in the Washington area also were given the day off. Standing in Philadelphia’s LOVE Park with snow swirling around her, visitor Jenn Byrne, of Portland, Ore., said the nasty weather put a crimp in her plans to do a “giant walking tour” of the city. But she vowed to soldier on, taking cabs instead of trudging. She wasn’t wearing snow boots. “I’ll keep going. Just the means of transportation will change a bit,” Byrne said. Others shrugged off the snow as well. Construction worker Tony Cockrell, stopping for coffee at a Hagerstown, Md., gas station, said he planned to continue driving to work sites in western Maryland and northern Virginia to supervise the installation of insulation in building projects.